Great blog Tim, your thesis touches on a very important subject, which is not sufficiently researched. The Bank is joining forces with ODI to further research on OGD impacts on growth, employment creation, poverty reduction, better public service delivery and other areas. Two comments: the Bank’s Open Data Readiness Assessment tool was developed with countries in mind, but it can easily be applied at the sub-national and city environments. We are currently thinking of possible adaptations of the tool to a sector-centric, multi-country context. And it is action-oriented rather than evaluation-oriented: it’s aim is to help countries arrive to an action plan so they can implement a good OGD initiative or improve their initial, on-going efforts. 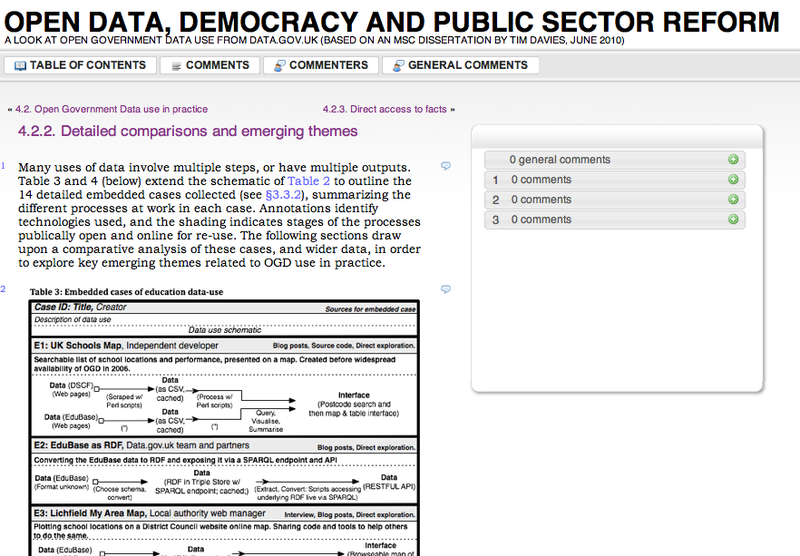 Secondly, on OGD metrics, there is work done also by the OECD Secretariat which you may want to check.